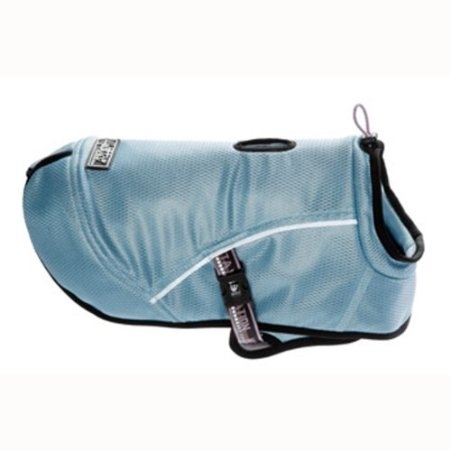 Beating summertime heat can be a dangerous challenge for your dog, but with the aid of the Hurtta Cooling Dog Coat, your dog can remain at a safe and comfortable body temperature. 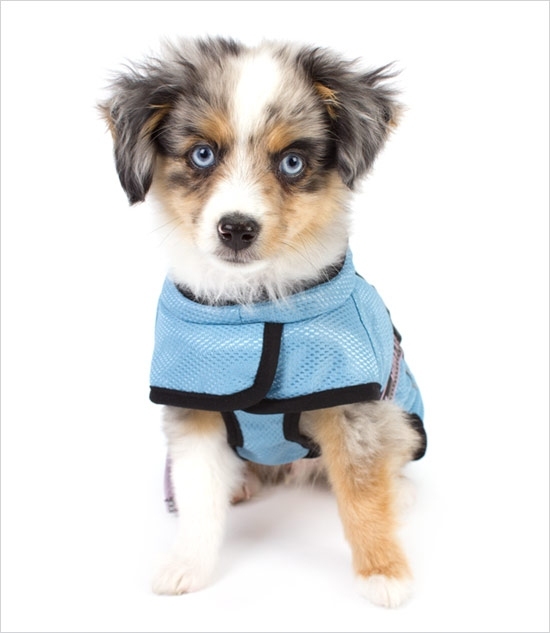 This cooling coat comes with an adjustable belt and collar for added comfort and is ideal to use during training, dog shows, or just everyday. Just rinse the Hurtta Cooling Dog Coat in cold water, wring out and put on your dog. 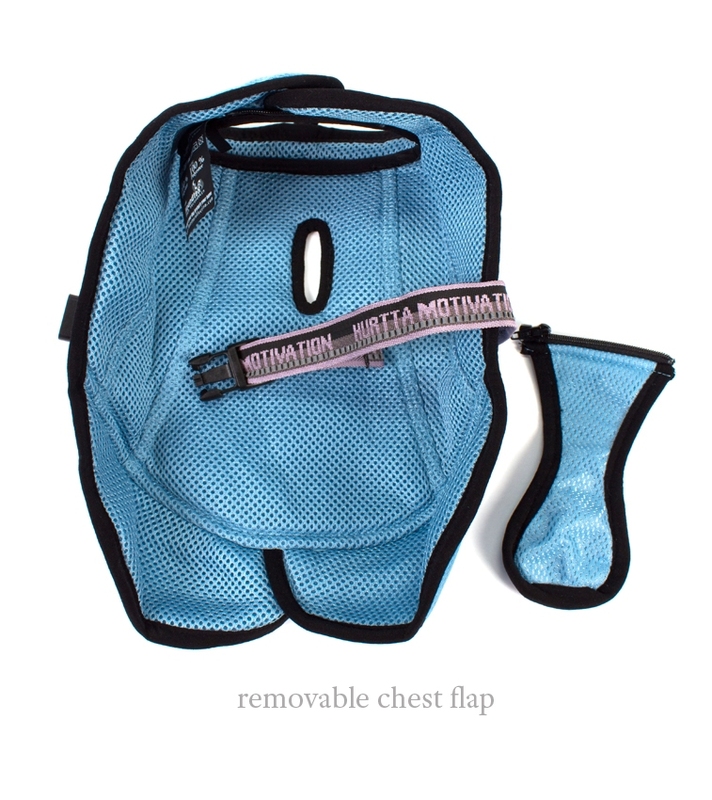 The evaporating water provides a cooling effect that will keep your dog can be active and happy. 30 - Kleinspitz, Jack Russel Terrier, Pug. 35 - Miniature Poodle, Miniature Schnauzer, Boston Terrier. 40 - Shetland Sheepdog, Border Terrier, West Highland White Terrier. 45 - Irish Terrier, Cocker Spaniel, Pumi. 60 - Bearded Collie, Dalmatian, Irish Setter. 65 - Golden Retriever, Giant Spitz, Afghan Hound. 70 - Belgian Shepherd Dog, Boxer, Hovawart. 75 - Newfoundland, Bernese Mountain Dog, Spanish Mastiff. 80 - Great Dane, Leonberger, Irish Wolfhound. 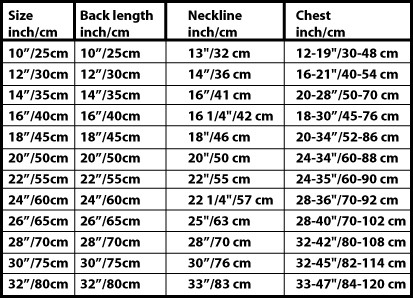 This product was added to our catalog on 16/02/2014.